A Warm Welcome at Cardiff. Recto: A black and white photograph within a black border of a group of ships surrounding the Terra Nova. 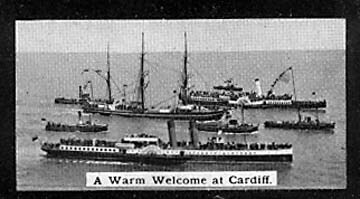 The caption reads: A Warm Welcome at Cardiff.